Dana combines beautiful art, the relaxing nature of watercolor and step-by-step guidance so readers can learn to make her incredible artwork. 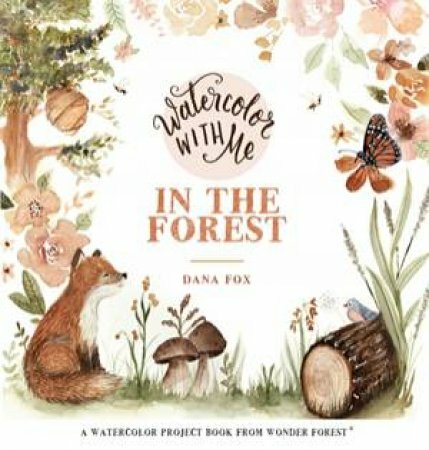 This book will feature 50 whimsical, forest-themed projects—like a feather, fox, butterfly, wild flower, bumblebee or an owl. Like an art teacher in a studio, Dana walks the reader through each step of creating the paintings. Each project features a new technique to master that readers can integrate into their own pieces. This book will be printed on high-quality watercolor paper so that new techniques can be tested in the tutorial sections and the watercolors will blend effortlessly on every page. With perforated pages, readers will be able to hang their completed masterpiece on the wall. Dana has 118K followers on Instagram, 65K on YouTube and 16K on Facebook. This book will have 50 projects.